A storied career has come full circle for UO Clark Honors College professor of practice Barbara Mossberg, although it might more accurate to say full sphere. The peripatetic professor has traveled the globe since first arriving at the UO in 1976 as an assistant professor of English. 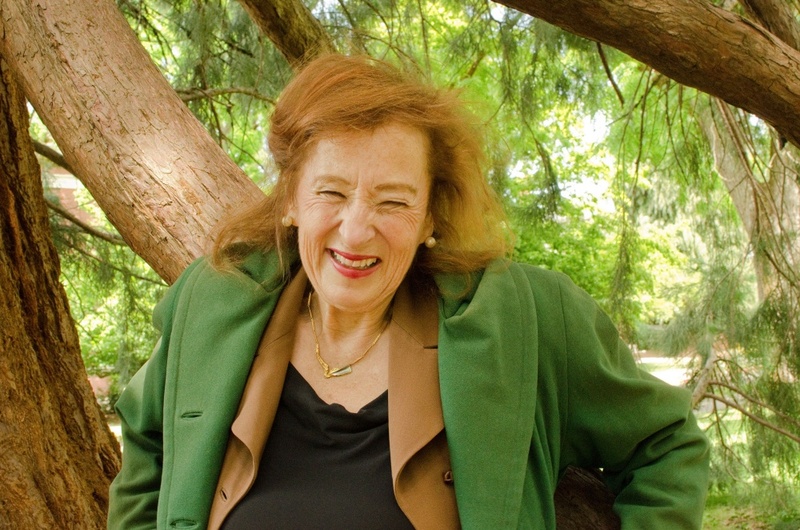 Her wide interests in literature, poetry, drama, science, the environment and more led to explorations beyond the UO, including two appointments as a senior lecturer from the Fulbright program, before she finally returned to campus in 2013. Mossberg recently traveled to Finland to attend the 40th anniversary of the Fulbright Program. One of five former Fulbright Bicentennial Chairs in American Studies, Mossberg represented the UO and the United States at the May 17 ceremony held at the Finnish Fulbright Center in Helsinki. “It was an honor, and I was happy to return to Helsinki to speak at this occasion,” Mossberg said. Established in 1976, the Fulbright Bicentennial Chair in American Studies is one of the most prestigious appointments in the Fulbright Scholar Program. The position, which is available to scholars in a wide spectrum of academic fields, including history, popular culture, and intercultural communications, allows recipients to engage in research and lecturing at the University of Helsinki. A tenured UO professor in the Department of English at the time, Mossberg was awarded the Bicentennial Chair of American Studies for 1982–83, an event that would set her on a much different career path. Opportunities stemming from the Fulbright Chair led Mossberg across Europe to create international and interdisciplinary curriculum for numerous universities and programs. She helped organize the first American studies program at the UO, and then received a federal appointment to represent the university in Washington, D.C. as the U.S. Scholar in Residence for the United States Information Agency. That allowed her to travel throughout 20 countries lecturing and consulting about teaching, scholarship and understanding the United States from a variety of disciplinary points of view. Among many other esteemed appointments, Mossberg worked in the nation’s capital as a senior fellow for the American Council on Education, which gave her the opportunity to inaugurate a new role for Fulbright, the Senior Fulbright Distinguished Chair. In 2013, she returned to the University of Oregon to teach literature in the Clark Honors College. “In all my wonderful opportunities around the world stemming from my original Fulbright when I was at UO, I was like Ulysses, wanting to return to my beloved Ithaca, my home academic community at UO,” Mossberg said. In addition to writing several books, she also writes and performs her profoundly individual brand of poetry, a blend of personal anecdotes and serious commentary, through theater performance, poetry slams, literature crawls and flash mobs, which can be viewed on YouTube, and she hosts “Poetry Slowdown”, a weekly, hour-long AM radio podcast. She also performs as a dramatist and dramaturg, and gives public lectures in outdoor venues and theaters.